When the royal custodians of the Templars’ estates presented their annual accounts at the exchequer, the accounts were checked, summarised and copied into the rolls which formed a permanent record of the income and expenditure for each estate. Most of the original accounts do not survive, as after the official copy had been made they had no further use. However, a few do survive and not only do they provide valuable detail of day-to-day expenditure but also (when compared to the enrolled account) show what the exchequer officials regarded as invalid or not worth mentioning. 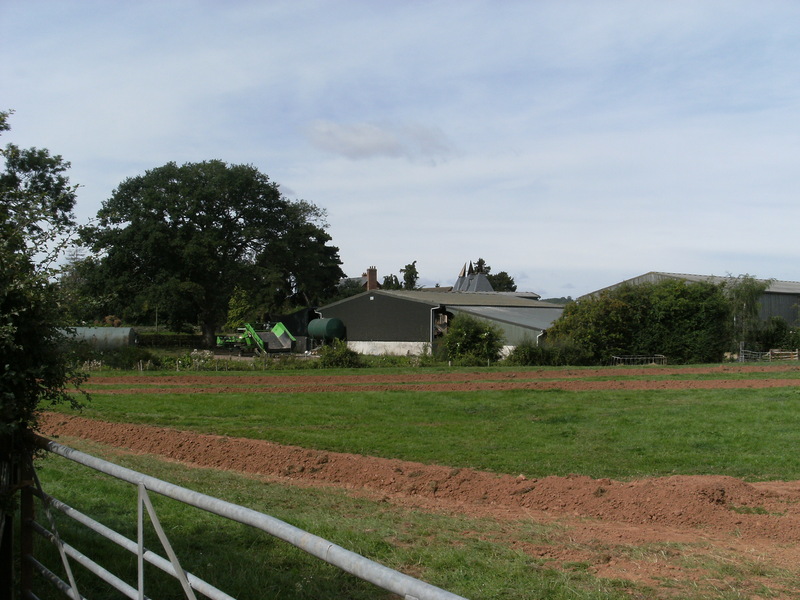 At Upleadon, Herefordshire, in 1308, the expenses recorded by Sheriff Walter of Haklut included six quarters of oats for flour made for potage for the farmworkers (an expense at every former Templar house — see my earlier blog on potage) and aliorum supervenient’ — other people ‘coming over’, that is, visitors to the estate. It would not be surprising if the Templars normally gave food to travellers who arrived at the house: such hospitality was normal in religious houses, and in 1338 the Hospitallers would record considerable expenses for giving hospitality to supervenientes. But the words ‘aliorum supervenient‘ have been crossed off Sheriff Haklut’s list of expenses, and there is no mention of potage for visitors at the corresponding point in the enrolled account. That said, the six quarters of oats were allowed as an expense: but the enrolled account states that the whole quantity was used to feed the farmworkers, not to feed visitors. In the following year, there was no mention of supervenientes at this point in the account, but by that time the sheriff would have known that that while the estate was being administered for the king, religious hospitality was no longer allowed as an expense. But because the enrolled accounts left out mention of food for visitors, this means that modern scholars studying these enrolled accounts cannot tell whether or not the Templars’ estates used to give hospitality to travellers. We only know that Upleadon did because of the chance survival of the sheriff’s detailed account.